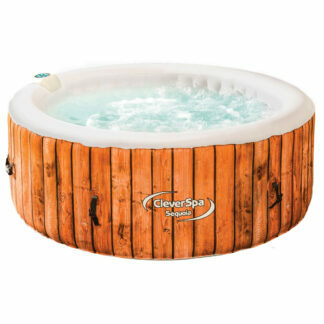 The CleverSpa Bondi Inflatable Hot Tub is a perfect addition to any garden. 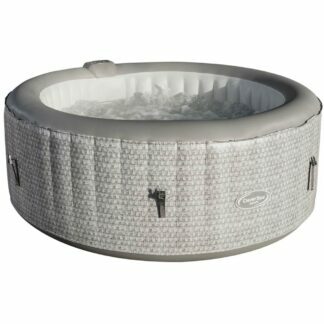 Ideal for winding down after a hard days work, enjoying with friends and family or for celebrating a special occasion. 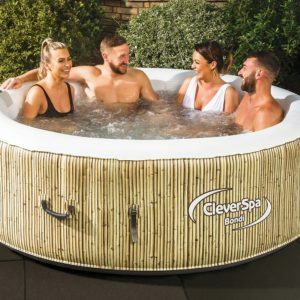 The CleverSpa is designed so that you can enjoy it all year round, whether on those hot summer days or to warm you up on colder winter nights. What separates the CleverSpa from any other inflatable hot tub in the market is its unique space saving, built-in pump & heating system. 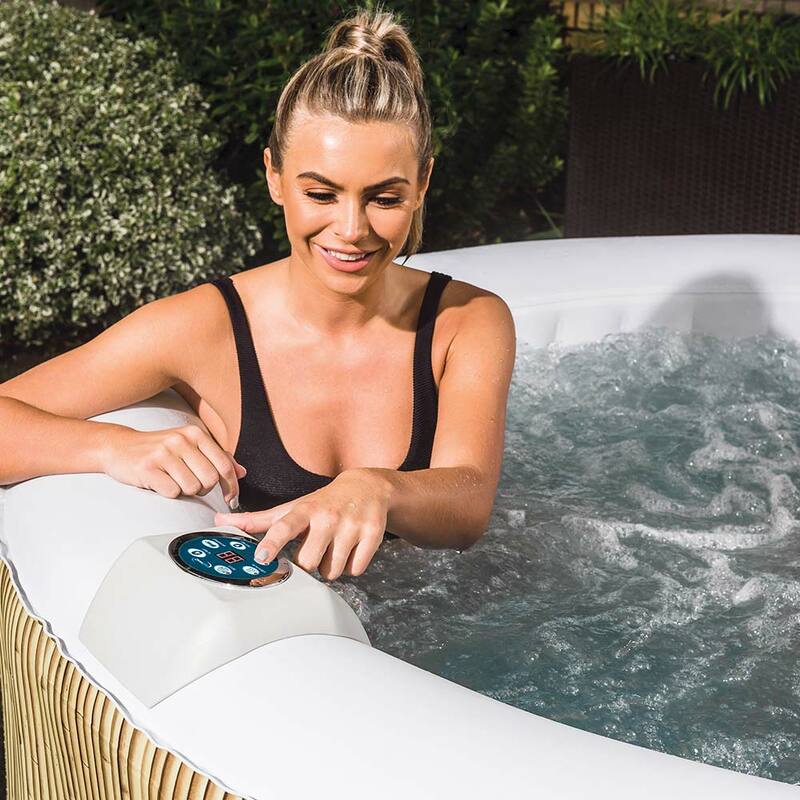 Allowing you the freedom to position the CleverSpa in almost any location of your garden, meaning you can create your very own sanctuary. 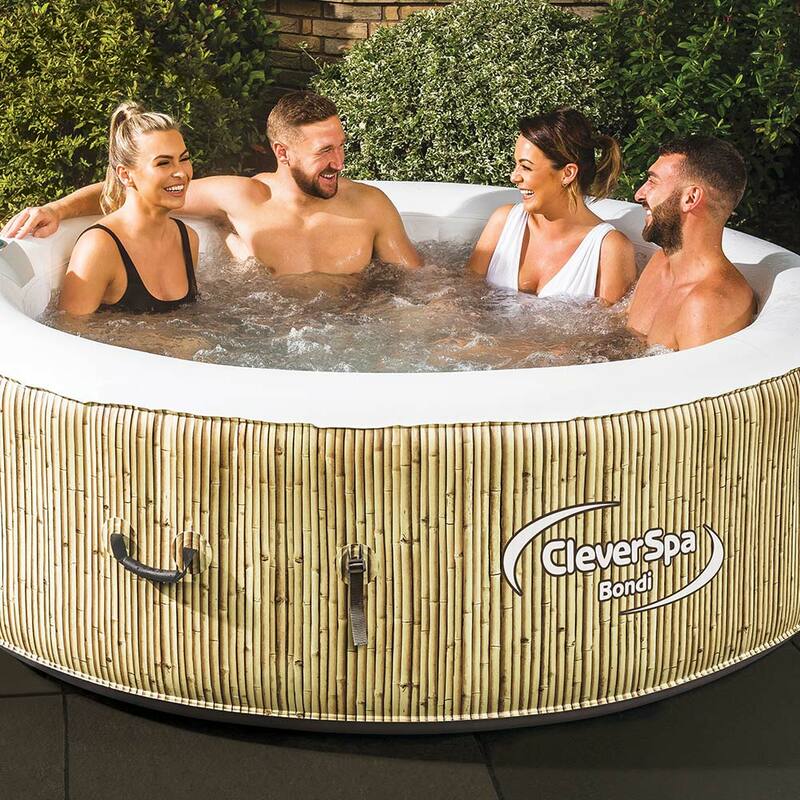 The CleverSpa is made from super strong Triple-S Fabric® and the contemporary design of the CleverSpa Bondi Bamboo print, simply gives it that wow factor! 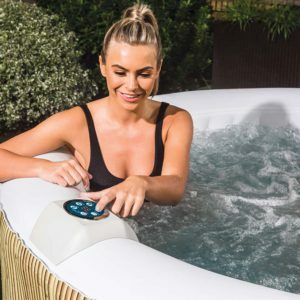 The easy to reach integrated digital control panel, means you can set the CleverSpa to your preferred temperature, up to 40°C, and with its cushioned floor you can just sit back, relax and enjoy the 130 powerful massaging bubble jets that surround you. 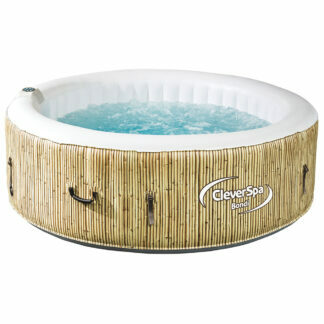 The beauty of the CleverSpa Bondi is that it is so easy to pack away, in can be done in no time. 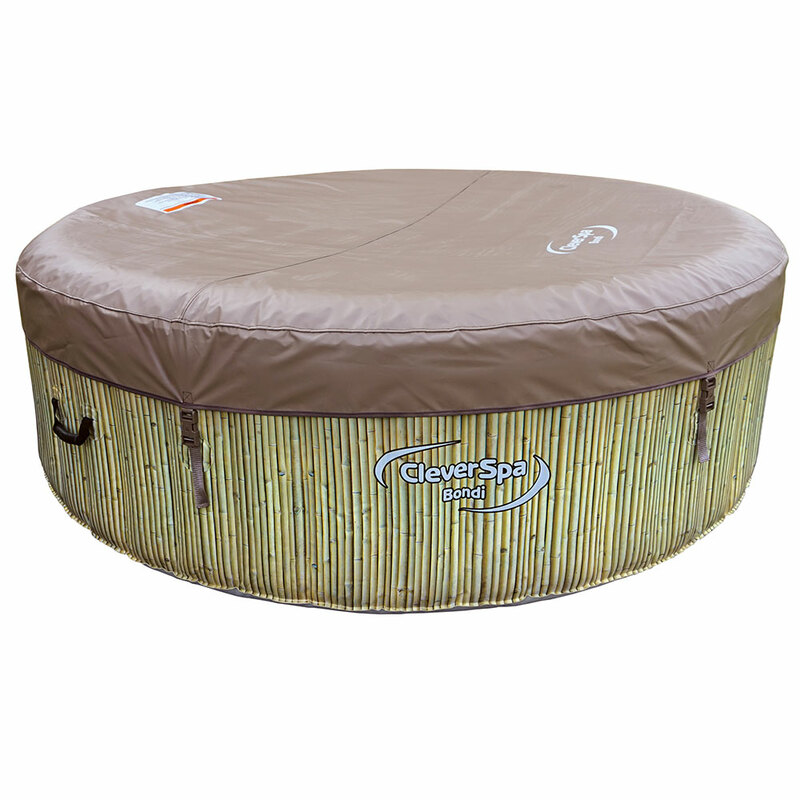 It also stores in a convenient bag so you can even take it away with you – it doesn't need to stay in the garden or garage. 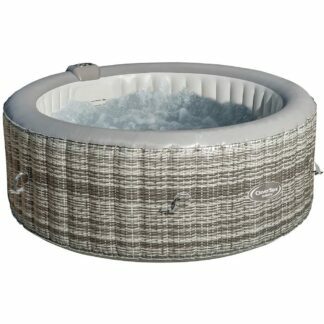 For use indoors & outdoors. 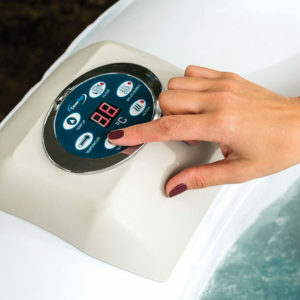 Impressed with the Bondi CleverSpa! "I brought this after sitting in a friends which was of a different brand. I was optimistic about it being inflatable having 3 large dogs, however very very happy with this. Inflation and fill time was very quick, heating tool abit of time but was still in it 9 hours later. 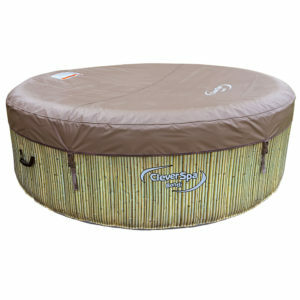 I have however put a big gazebo up around it and lights for privacy and to improve looks. But very impressed. Previously I have only been in the hard plastic ones approx £5000 worth and I have to say I prefer this one, no hard pieces of plastic digging in you restricting movement, nice free flowing fun.plenty of room for 4 adults comfortably. was a quick and easy purchase too." "Brilliant hot tub. Great value for money. Would highly recommend"
Best purchase in a long time! 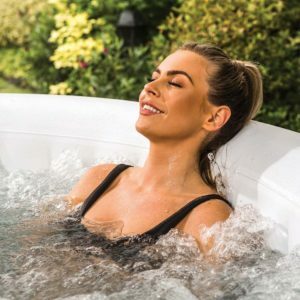 "Did a bit of research into what inflatable hot tub to get and I made the right choice. Minutes to inflate, not long to fill and by the morning it was warm enough to use. Was all so easy to set up and the whole family enjoy using it. 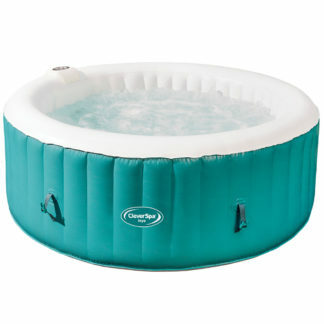 It looks nice it's a good size I would say anymore then 4 adults could be a bit comfortable but otherwise it's great!" 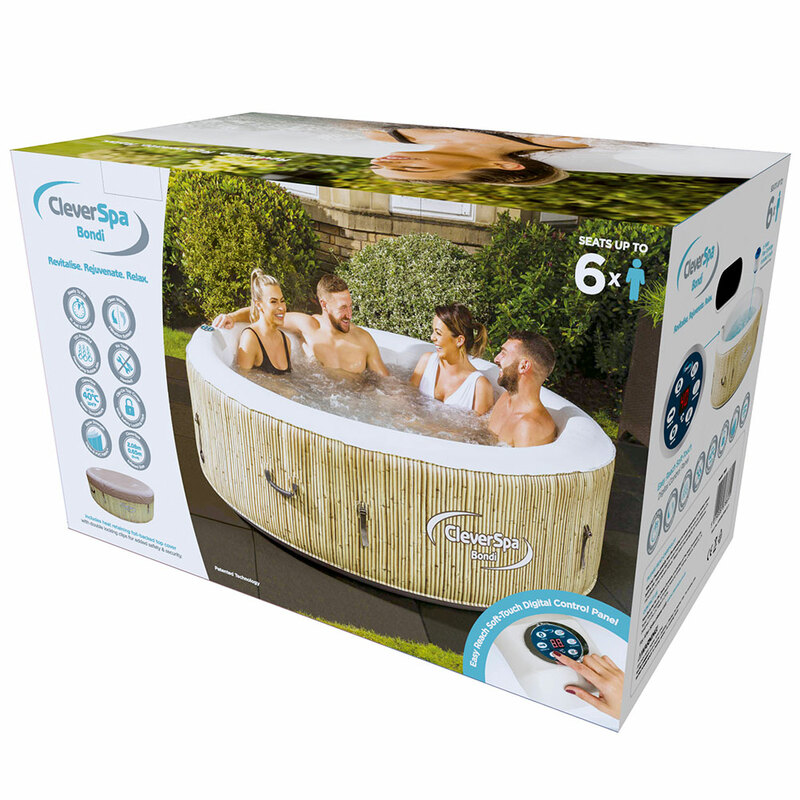 Setting up your CleverSpa couldn’t be easier, simply plug it in, connect the hose and inflate. The CleverSpa, unlike the competition, is fully inflated in just 5 minutes. 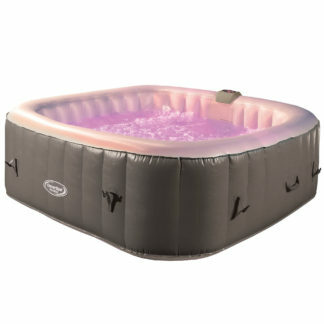 All you need to do is fill it up and set to the temperature… it’s that easy! 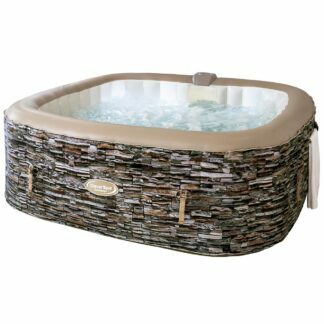 When it comes to water and children, we understand safety is of the uppermost importance. Children should not be left unaccompanied. 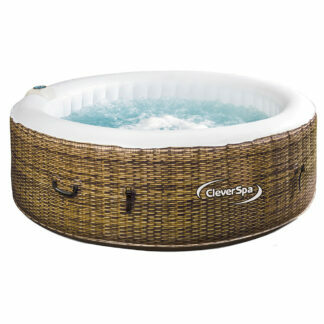 With this in mind the CleverSpa’s foil backed heat retaining top cover has been designed to be extra safe. Once clipped in place, you can double lock each clip with the safety locking keys provided, keeping you and your little ones safe at all times. Comes with a one year manufacturer’s warranty. For more information click here. 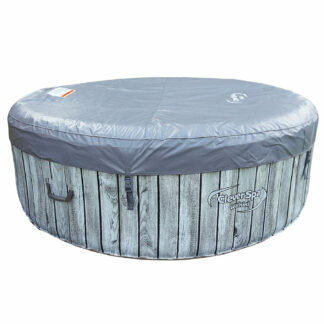 The CleverSpa Bondi Inflatable Hot Tub really is the must have product to compliment your home and garden. For the very best in inflatable Spa’s, be smart, choose Clever!